If you never try anything new, you’ll never find out if you’ll enjoy it. Every day, try something new. You’ll be glad you did. What’s good for one person is bad for another. The difference is perspective. Whenever I think about the abundance of good things in my life, I know that the bad things are tiny in comparison. Everyone fails. It’s what happens next that matters. I’m not happy with failing at something. It is one of the biggest things that drives me. 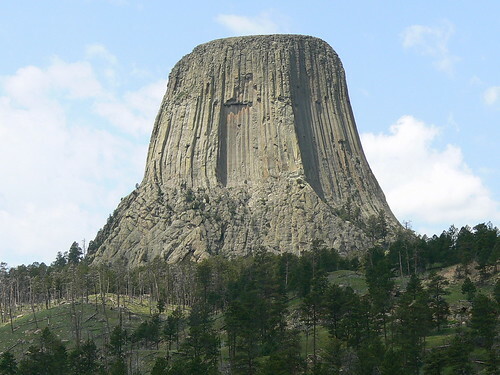 On our upcoming South Dakota trip, we plan on taking a sojourn into Wyoming to look at one of the most beautiful rock formations in the world. Our world is an amazing place. Thanks to Tim Pearce for the picture. You can have all of the riches in the world, but they don’t matter if you’re not at peace. I’d rather eat a simple meal with minimal worry in my life than a great meal in the face of great stress. I really enjoyed this short film. Everything is different when you’re on the other end of the bargain. If you have a hobby that requires steady consumption, it’s going to be a danger to your wallet and perhaps to your freedom. The best hobbies are the ones that don’t require constant purchases. I woke up to an impressive display of morning fog the other day. It transformed the ordinary into the surreal. 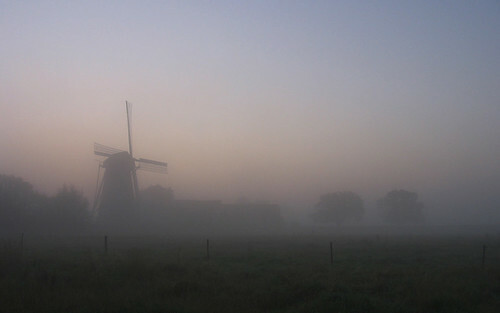 This wonderful picture by Meneer Zjeroen achieves the same effect, turning an ordinary farm into something shrouded in mystery. The idea of boredom just astounds me. There is not nearly enough time for all of the things I want to do. Boredom? What’s that? I hope that wherever you’re at, Adam, you’re having as much fun as this video seems to be.